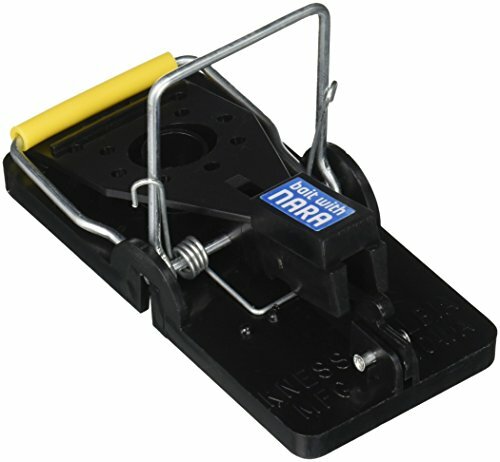 Snap-E Mouse Trap is the best trap for people who want to deal with mice without too much thought and don’t want to keep spending money on new traps. Simple, reliable and made to last, Snap-E will take care of your mice problem for years to come. It is either that or getting a cat. Mice and their bigger cousins, rats, have been plaguing mankind for thousands of years. They can carry diseases, spoil food, smell bad, and they can damage your furniture and more. If you don’t deal with them right away, they can multiply and cause you a major headache. Nature has given us an ultimate weapon against these obnoxious rodents – her majesty, the cat. Unfortunately, not all of us are in the position to own and deploy cats in our fight against this vermin. We have to think of other methods. 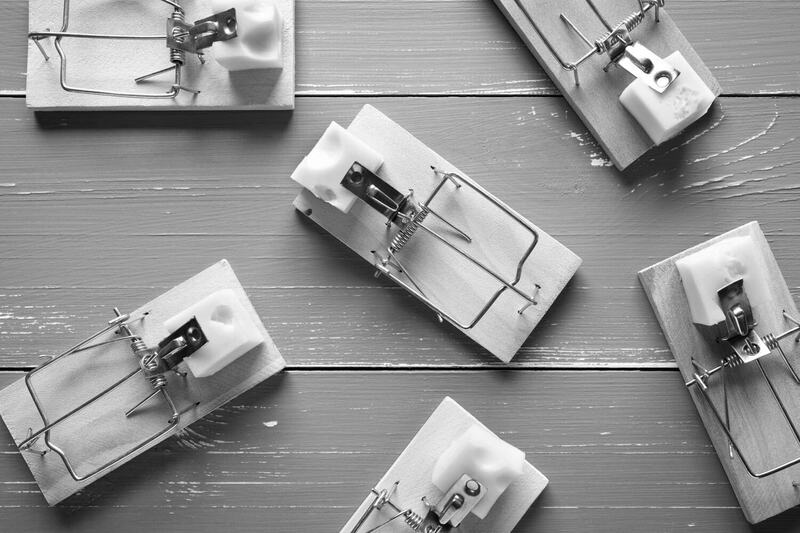 Luckily, we have invented effective and quite deadly traps, such as spring-loaded mousetraps whose basic design hasn’t changed for more than a hundred years. To help you fight these pesky little creatures, we have tested three of the best mouse traps available on the market, so you can make the best choice. 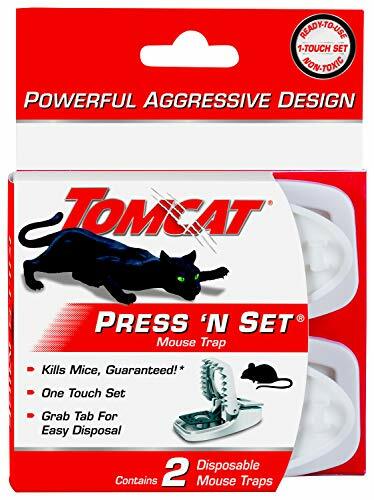 When Tomcat was designing this trap, they wanted to improve the traditional mouse trap design. This trap is quite easy and safe to set up. 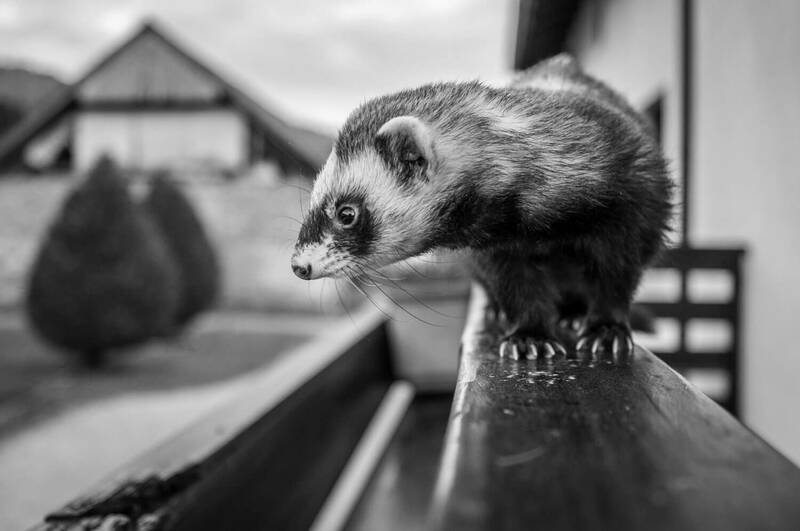 To begin with, you need to identify the spots where the vermin frequently pass and place a trap there. Secondly, you apply the bait, which can be Tomcat’s own Mouse Attractant Gel, peanut butter or cheese. Finally, press the set bar until you hear a click. Set the trap and wait for the little sucker to get caught. This trap is suitable for indoor use. Why is this trap better than a traditional one? Well, for starters, it is much safer to set up. You won’t have to worry too much about your fingers getting caught when you set the trap. Secondly, this trap features a vertical, 90-degree trap bar which will travel half the distance of the common horizontal, 180-degree trap bar. This makes this trap a lot quicker than the traditional one. Thirdly, it is more durable than the classic wooden trap. Finally, you can dispose of the mouse without having to touch it by simply grabbing the grab tab and throwing it into the trash. You can throw out the entire trap with the rodent in it or easily release the trap, throwing just the rodent away. That way, you can reuse the same trap over and over. You get two traps in a pack. While this trap is a definite improvement over the classic wooden trap, it still has some drawbacks. Because it is very effective, you will have to deal with the aftermath of the mouse getting trapped, which is quite gruesome. Secondly, you still have to take a good guess as to where the mouse will pass through and hope that the trap will intercept it. Finally, you have to be careful with where you place the trap because of your children and pets. We admit that the previous trap is a cruel way to take care of the rodent problem. 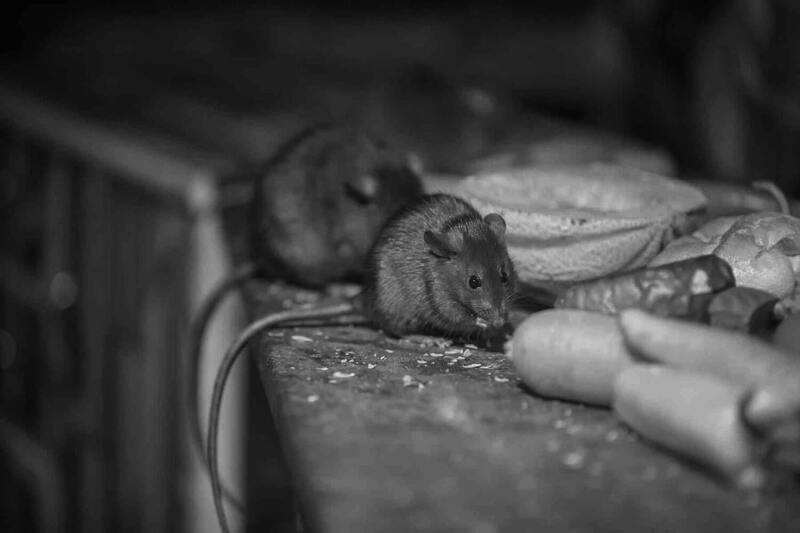 Some will argue that even harmful rodents such as mice deserve humane treatment. That is why we are very glad that this trap exists. Atomic Barbie has done its best to make a trap that it will be effective and, above all else, humane to the trapped animals. This trap is also extremely versatile, because it can capture many different kinds of animals. Rats, mice, opossums, squirrels, raccoons and basically, anything that fits in the trap can get caught. 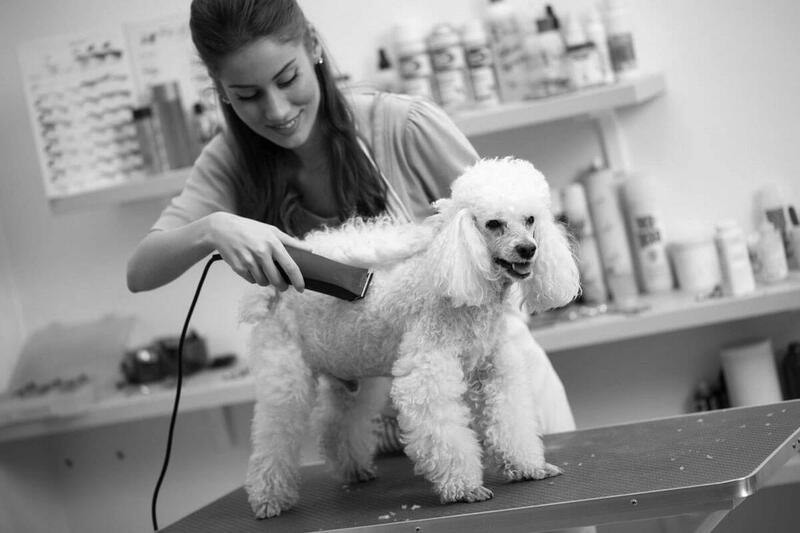 It is safe to use around children and pets because it doesn’t use any kind of poisons, sprays, glues or chemicals. The recommend bait is peanut butter. 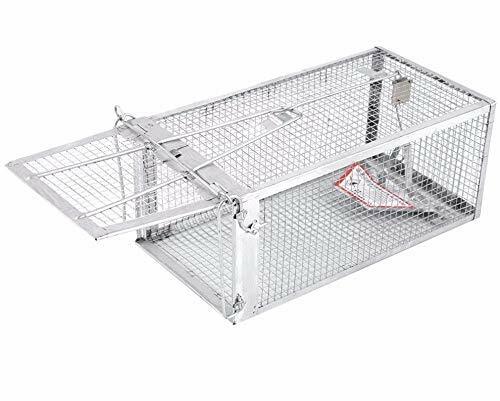 This trap is suitable for indoor and outdoor use. We would also like to praise the Atomic Barbie for the trap’s excellent build quality. It is so well made that it remains undamaged for a long time even when exposed to the bad weather, and, it won’t rust or corrode. This trap is easy to set up and, more importantly, its trigger is very sensitive and fine-tuned. If you set everything correctly, you can expect this trap to catch even the smallest of animals. The excellent locking mechanism will prevent any animal from escaping. Because this trap is easy to set up and is very durable, you can reuse it for years to come. The only downside is that you have to involve yourself more with the caught animal. Once caught, you should relocate the animal at least a mile away from your house, so it doesn’t return to you. We think this is a small price for being humane. Finally, we have Snap-E mouse trap from Kness. This trap is very similar to Tomcat Press ‘N Set trap because they both operate in practically the exact same manner. Snap-E also has a vertical trap bar, and it is very easy to place the bait and set the trap, avoiding injuries to your fingers. Recommended bait is peanut butter. Like with Press ‘N Set, you have to be careful around children and pets. The procedure for getting rid of the dead mouse is exactly the same as with the Press ‘N Set. However, there are few important differences. First of all, this trap more efficient because the trigger plate in the Snap-E trap is larger so the mouse will always step on it and activate it. Secondly, it is made from durable polystyrene (a type of plastic) and the trap bar is made from steel. As a result, the Snap-E trap is much more durable than Press ‘N Set. You can use the Snap-E for years, plus, it is easy to clean and resists odors and stains. There are six traps in a pack. Snap-E left us amazed with its performance. The large and very sensitive trigger plate will respond in a heartbeat when mouse steps on it, and the steel trap bar will kill him instantly. You can feel better knowing that the mouse didn’t suffer. Even if it manages to somehow survive, it won’t be able to escape from the trap. Snap-E does its job quickly and efficiently, and is ready to be reused in a moment. These three traps efficiently get rid of mice. Tomcat Press ‘N Set and Kness Snap-E are merciless with the mice, while the Atomic Barbie goes for a more humane approach to dealing with these pests. Out of all three, we have to say that the Snap-E is definitely the most effective killer. It is very easy to set up, and you can avoid any contact with the dead rodent. 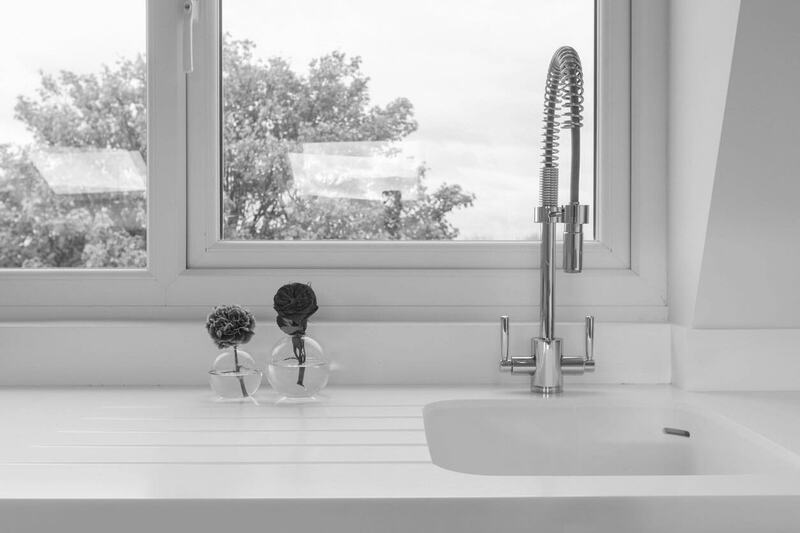 What’s more, it is very easy to clean, and because of its great durability, it will last you a long time. You can depend on Snap-E to get the job done.